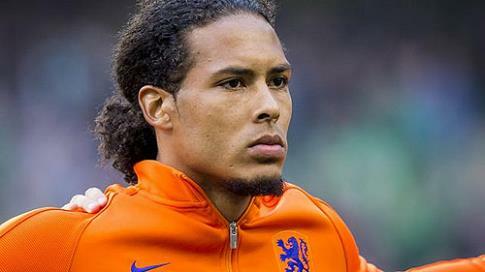 Virgil van Dijk will have to stay at Southampton and has no prospect of a January move to Liverpool, at least according to Saints legend Matt Le Tissier. The club’s all-time leading goalscorer, who spent 16 years of his playing career at St Mary’s, believes the Dutchman still has a future on the South Coast as his team-mates will be quick to forgive his summer antics. “There doesn’t seem to be any problem between the rest of the players and himself,” he said, quoted via the Sun. “A football changing room is a funny place. You get forgiven for a lot very quickly, as long as you are playing well. “I could probably see him staying until the end of the season. Van Dijk missed the second half of last season with a knee injury, though that didn’t seem to dim interest in the 26-year-old. Jurgen Klopp is likely to pursue defensive targets in January, with Liverpool having kept just two clean sheets in all competitions this season. Dejan Lovren has come in for particularly heavy criticism, which suggests the Reds may look to bolster their options at centre-back. For Mauricio Pellegrino, his problems are at the other end of the pitch. Southampton have scored just five goals this term, not helped by Shane Long’s lengthy drought. Pellegrino is trying to build something at the club and will be reluctant to sell any key players, regardless of their position.